Tarik Moody served as an officer in the Army Reserves for 14 years. 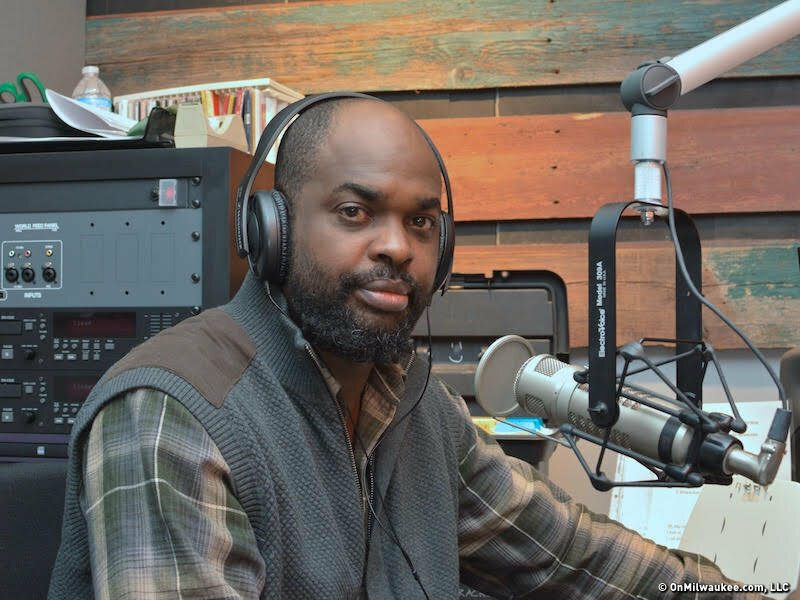 Tarik Moody is one of Milwaukee’s most distinctive on-air personalities, the evening music host and digital director for 88Nine Radio Milwaukee, where he also produces and hosts his weekly show, the Rhythm Lab. His life has taken in a large swath of America. Born in July 1973 in Louisville, Kentucky, Moody has lived all over the southeast, including Houston, Charleston, and Birmingham, but spent most of his early life in Atlanta where he attended high school before heading to Howard University in Washington, D.C., followed by a couple years in Detroit and seven in Minneapolis. His degree from Howard was in architecture. So what’s a guy with a degree in architecture doing working as a deejay? For starters, he recalls his architecture history professor at Howard calling architecture, “Frozen Music.” The professor likened the architectural process to how you build a structure in creating music. Meanwhile Moody worked as an intern for a cable access music video show, giving him the opportunity to meet and talk with artists, and igniting his interest in the music industry. Still, Moody didn’t ditch architecture, and worked first as an intern for the National Institute of Health in Bethesda, MD, then as a Design Manager for Northwest Airlines where he worked on various projects including the Detroit Terminal. He liked Detroit and he saw the indie documentary, “Detropia,” when it was here as part of the Milwaukee Film Festival. “Even though it highlighted the urban decay, it showed hope for the future,” he says, and predicts that in two decades, Detroit will be a popular city to live in, because artists are beginning to make it their home. He loves Motor Town’s music history, including its R&B and Hip Hop, but cautions that not only Motown came from there, but also electronic music in the form of Detroit Techno. One of his favorite producers is the late J. Dilla, from Detroit. In 1998, his architecture career took him to Minneapolis where he worked for RSP Architects. A year later, he began to volunteer at KFAI-FM, a local, non-commercial station, similar to WMSE. He co-hosted Groove Garden, prior to going to work for Minnesota Public Radio. Asked to apply for his own show, in 2005 he conjured Rhythm Lab Radio, a fusion he created to more clearly define an “urban sound,” that goes beyond hip hop & R&B to include jazz, electronic, world, and even indie rock. It’s a global sound and he’s immersed in it, with a deejay style that’s easy-going and “free-form,” as he puts it. His reputation spread and RadioMilwaukee eventually called him to discuss his ideas and thoughts about radio, music, and, of course, the concepts behind RadioMilwaukee, then a new player in this city. One thing led to another and Moody was offered a job at 88.9 where he continues to produce and host Rhythm Lab Radio (with Minnesota Public Radio).